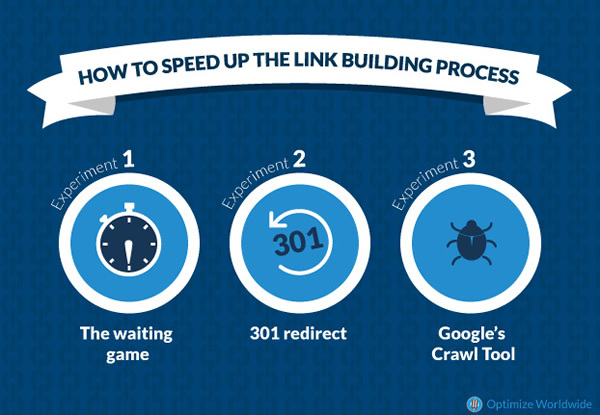 Link-building has been a tried-and-true SEO strategy for years, but there are still many experts practicing this technique who aren’t aware of all the tools available to assist them in their efforts. Because the effects of the link-building process takes time to actually become visible in search engine results, it can be a struggle for marketing directors and SEO companies to show proof to a client that their investment is well worth the wait. However, utilizing Google Webmaster Tools means that the normal time spent playing the waiting game for your content to be revealed to searchers can be cut down significantly. In a previous article, “Index Your Content Faster With the Fetch as Google Tool,” I explained how to submit new Web pages and blog posts published on a website you own to the Google index in a matter of minutes instead of waiting days, weeks, or months for Googlebot to crawl the page and show up in the search results. While the Fetch as Google tool is great for content you own, it only allows URLs to be submitted to the index under the domain name you can verify with Google Webmaster Tools. So, what about all that other great content you have out there on sites that you can’t verify? Well, luckily, there seems to be a solution for that, too. Below you’ll see my latest experiment where I’ve tested out various ways to submit external content to the Google index to speed up our guest blogging and link-building efforts. I created three new basic HTML pages and will be attempting to submit those pages to the Google index. I have uploaded them to a Web server I really only use for testing. There is little to no traffic going to this Web server and the domain name does not have an active website on it. I chose to use this Web server and domain because I didn’t want Google to crawl my experimental URLs based on domain authority or frequency of publications. I ran a search the next day and needless to say, Google did not crawl this page soon enough. This next strategy utilizes the Fetch as Google tool with a twist. The tool will not allow you to fetch an external URL, so I got crafty and wrote a 301 redirect on another domain that I have verified with Google Webmaster Tools. I added a 301 redirect to the .htaccess file on the root of the MattMorganDesigns.com domain and redirected to the URL I really wanted to fetch. The nice part about using the .htaccess file to create a 301 redirect, is that you can use a virtual web page URL. That Web page doesn’t actually need to exist. I went over to Google Webmaster Tools and fetched the virtual URL. Once I fetched the URL, it appeared that this experiment was a loss because Google Webmaster Tools labeled it a redirected. I ran a Google search the next day and was pretty excited to see that Google had indeed fetched and submitted my external URL to the index. It was showing up in the search results! 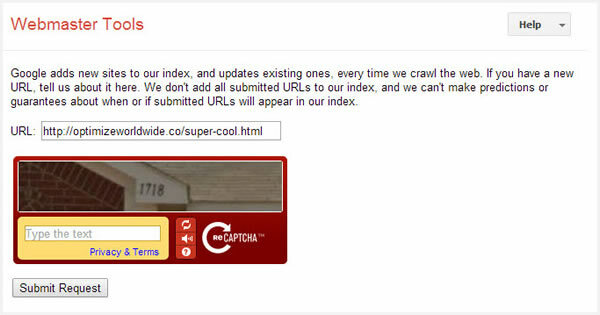 Google Webmaster Tools has another tool available called the Crawl Tool or the Submit URL Tool. 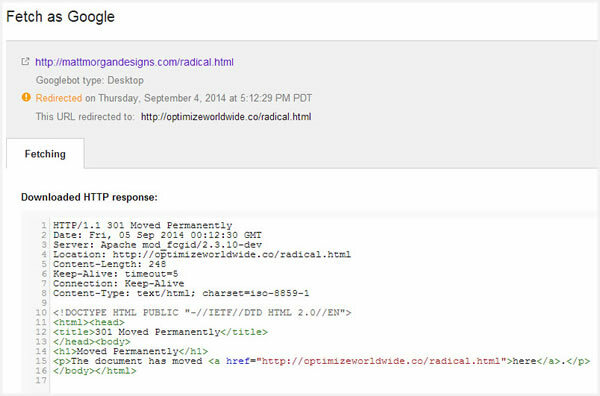 This tool allows you to submit any URL to the Google index. I have been skeptical about this tool, as I didn’t have the same affirmation the Fetch Tool provides. I submitted my last experimental URL, super-cool.html, using this tool. The next day, I ran a Google search and there it was! As you can see, Google Webmaster Tools offers a couple of different ways to get your quality content and link-building efforts recognized in search engine results much quicker than if you just sit back and wait for something to happen at Google’s own rate of pace. Take matters into your own hands and speed up the process as much as you can to achieve the rankings you’re working toward.